This website is presented by the Child Development Council (Council) for the purpose of sharing information and resources relating to the Council’s role and functions. The Council selects the information and resources and updates the website as required. However, the Council does not guarantee, and accepts no legal liability whatsoever arising from, or connected to, the accuracy, reliability, currency or completeness of any material contained in the Council website or on any linked site. It is recommended that users exercise skill and care with respect to the use of the website and carefully evaluate the accuracy, currency, completeness and relevance of the material on the website for their own purposes. The material on the website may include the views or recommendations of third parties, which do not necessarily reflect the views of the Council, or indicate its commitment to a particular course of action. Use of automatic language translation services in connection with this site is carried out at the user’s own risk. The Council does not guarantee, and accepts no legal liability whatsoever arising from, or connected to, the accuracy or usefulness of any translation into another language of the information on this site or any linked website. The information and data on this site is subject to change without notice and the Council may revise this disclaimer at any time by updating this page. The Council does not guarantee, and accepts no legal liability in relation to, the availability of this site or the availability of websites linked from, or to, this site. The Child Development Council website provides links to websites that are external to the Council. The Council takes reasonable care in linking to websites but has no direct control over the content of the linked sites, or the changes that may occur to the content on those sites. It is the responsibility of users to make decisions about the accuracy, currency, reliability and correctness of information contained in linked external websites. Links to external websites do not constitute an endorsement or a recommendation of any material on those sites or of any third party products or services offered by, from or through those sites. Users of links from the Council website are responsible for ascertaining which organisation is hosting the website that they visit. Linked websites will have their own terms and conditions of use and users should familiarise themselves with these. It is the responsibility of the user to ensure that material on other websites to which the Child Development Council’s website is linked does not infringe the intellectual property rights of any person anywhere in the world. The user of external links from the Council’s website is responsible for the downloading of any linked material and/or any fees or charges incurred by the downloading of such material. Downloading and use of images and/or text without the permission of the copyright owner may breach Australian and international intellectual property and copyright laws. Users should be aware that the World Wide Web is an insecure public network that gives rise to a potential risk that a user’s transactions are being viewed, intercepted or modified by third parties or that files which the user downloads may contain computer viruses, disabling codes, worms or other devices or defects. 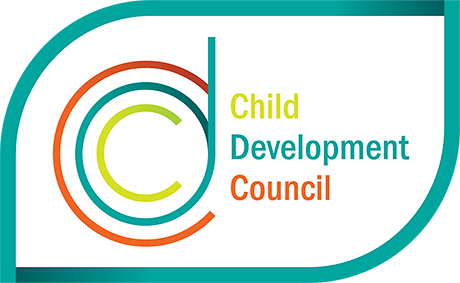 The Child Development Council accepts no liability for any interference with or damage to a user’s computer system, software or data occurring in connection with or relating to the Council’s website or its use, or of any linked websites, material on linked sites or of any third party products or services offered by, from or through linked sites. Users are encouraged to take appropriate and adequate precautions to ensure that whatever is selected from the Council’s website, or linked external sites, is free of viruses or other contamination that may interfere with or damage the user’s computer system, software or data.